The first receipt date for predoctoral T32 applications in response to NIGMS Funding Opportunity Announcement (FOA) PAR-17-341 is fast approaching—May 25, 2018. While a wealth of information is already available regarding the intent and requirements of this new FOA, including on our NRSA Institutional Predoctoral Training Grants website and a recent Feedback Loop post, we want to reassure prospective applicants that we are also actively preparing for the review of these applications. All predoctoral T32 applications submitted to NIGMS are currently reviewed by two in-house standing review committees, TWD-A and TWD-B, and this will continue for applications submitted under the new FOA. However, we are mindful that reviewing these applications requires different expectations and considerations, and that reviewers must accordingly be prepared for them. To this end, scientific review officers in our Office of Scientific Review are working closely with program staff in the Division of Training, Workforce Development, and Diversity to revise the materials and resources currently used to orient review committee members to ensure they understand and address the new review criteria appropriately. We are also exploring options to add expertise to the committees in aspects of the FOA that may be less familiar to reviewers, such as program evaluation, evidence-based approaches to teaching and mentoring, and non-academic career development. In addition, we are considering ways to bring the perspectives of community members who educate and mentor undergraduate students who go on to pursue Ph.D.s in biomedical fields, as well as of those who employ graduates of NIGMS-funded Ph.D. programs, such as representatives from the pharmaceutical and biotechnology industries. And of course, NIGMS review and program staff are available at each step, including during the review meetings, to provide guidance and reminders. A feature of the new T32 FOA is that all submissions are considered new (Type 1) applications, and there will be no renewal (Type 2) applications received under the new FOA. Since site visits have been part of the review process only for renewal applications, no site visits for peer review will be conducted under the new FOA. Site visits will take place as planned for renewal applications submitted under the parent T32 FOA for the January 25, 2018, receipt date. Note that applications for our Medical Scientist Training Program (MSTP) will continue to be reviewed using the criteria of the parent T32 FOA and will be site visited according to the established schedule while a new MSTP-specific FOA is under development. If you have any questions about these upcoming preparations, please feel free to contact me. 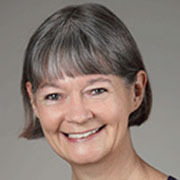 Stephanie directs the NIGMS Office of Scientific Review that oversees the peer review of a broad range of research, training, education and center grant applications assigned to NIGMS.